Just imagine where you will go! 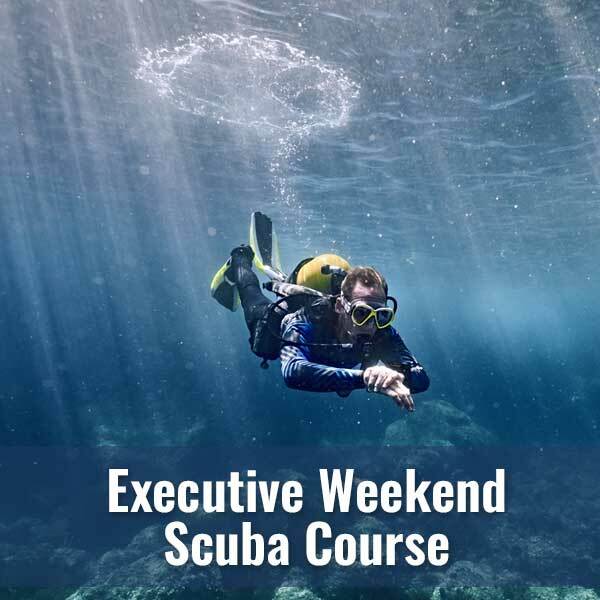 Begin your underwater explorations by enrolling in a NAUI Scuba Diver class. Your Scuba Diver certification is your passport to the underwater world… whether that be our historical wrecks here in Lake Erie, the tropical reefs of the Caribbean or some other destination. Just imagine where you will go! Begin your underwater explorations by enrolling in a NAUI Scuba Diver class. 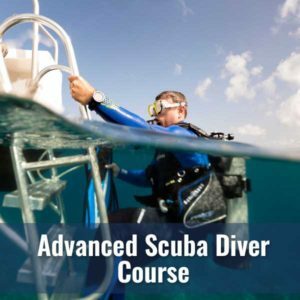 This is our entry-level certification course where you will learn the fundamental knowledge and skills to safety dive in open water. 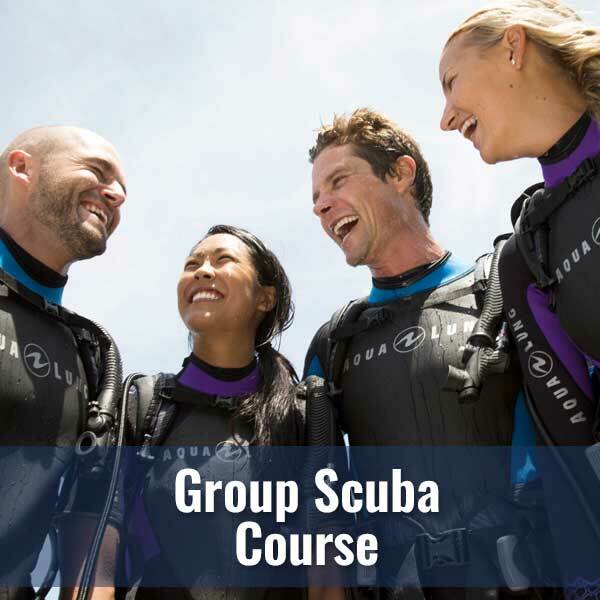 Earning your Scuba Diver Certification card is an accomplishment for which you will rightfully feel proud and you will be ready to begin a lifetime of underwater adventures and discovering. 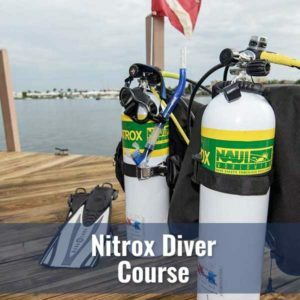 During your NAUI Scuba Diver class, you will learn about modern dive equipment, diving sciences, responsible diving practices and the environment. 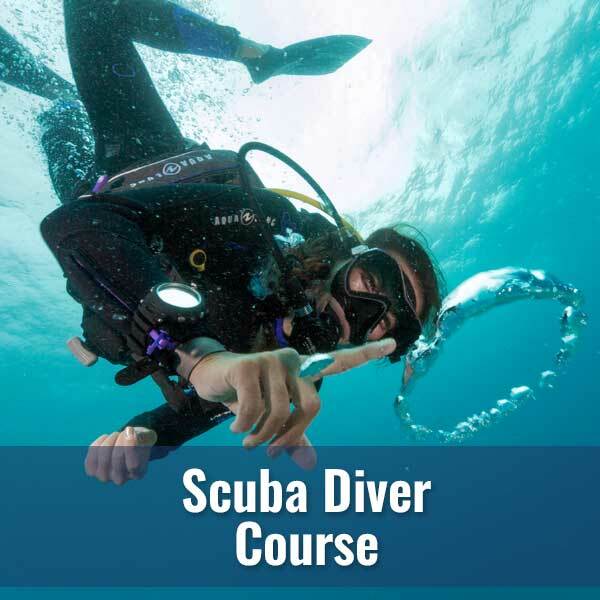 Diving skills will be taught and practiced first in the comfort and convenience of a confined water environment and then you will finish in an open water setting. Diver’s World’s team of professional NAUI Instructors have over 120 years of combined experience you can trust. Our most popular lesson. Usually 5-6 weeks once a week. Join one of our classes, have fun and make new friends. Learn scuba in ONE WEEK! Although it's open to everyone, this class is great for students on summer break. Finish in two weekends! This course is specifically designed for those who want to finish quickly and have weekends free. Flexibility around your schedule: your own private instructor but utilizing the pool when we have it scheduled. If you have a busy or unpredictable schedule let us work with you at your own pace. Private classes and pool sessions for up to four (4) people. As long as you are 12 years* or older and in good physical condition, you can enroll in a Diver’s World Scuba Diver course. Click here to review our Medical History Questionnaire. Your safety is the most important thing to us: You may be asked to review your health with your family doctor just to be sure. *please note: Many facilities will certify down to the age of ten. 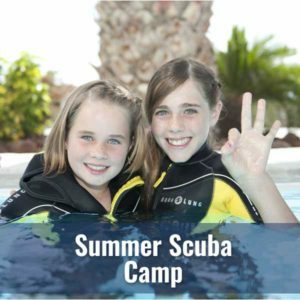 Diver’s World’s policy is minimum age of twelve based on the fact that diver safety and the safety of your child is our over-arching concern. Here are some points from Diver’s Alert Network about young children and diving: Children and Diving. We want your family to dive with you but strongly encourage you wait just a couple of years to safely introduce your child to the amazing sport of scuba diving. 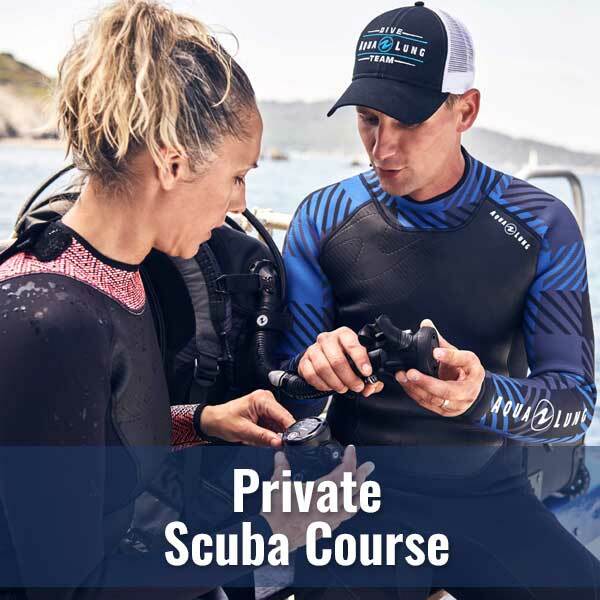 Your class fee will cover certification fees, instructional fees, pool fees, NAUI educational materials, log book and two days of open water instruction with your Instructor(s) and Dive Master. 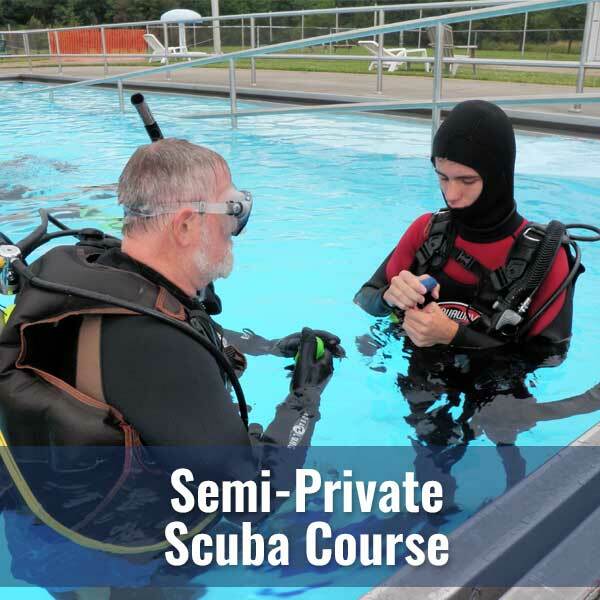 Your class also includes the use of Diver’s World tanks, buoyancy compensation device (BCD), regulator with octopus, gauges, and dive computer for all pool sessions. You will also get a FREE six month subscription to Dive Training Magazine. You will only need to provide your own mask, fins, snorkel, dive boots/booties, and gloves along with your bathing suit and towel. These are the basics that you will want as your own to take with you snorkeling and diving. For safety, you will need to provide your own dive knife for your open water dives. Diver’s World has a wide selection of all of these items to meet all of your needs. Ask about our package discounts so you can have the assurance of proper fit and excellent quality 100% Internet Price Matching*: Remember, if you find a lower price for the exact same item, we will match it! If you complete your open water dives with us, students will need to rent or furnish their own scuba gear. We have a special package price for Scuba Diver Students for the weekend rentals. If you choose to complete your open water dives on referral, we do not charge for an open water referral. After your classroom and pool instruction you will be required to demonstrate your skills in open water. This generally requires two days/mornings of diving which can be accomplished through a local dive with Diver’s World. Alternatively, some of our students elect to do their open water dives on a vacation/dive trip and Diver’s World will provide a open water referral for you to complete your dives on your trip. At Diver’s World there is no separate instruction fee for your open water dives nor for a referral although you will need to rent (or otherwise provide) your scuba equipment. In either case, you will need to provide your own transportation, equipment (yours and/or rented), environmental suit and accommodations. Rental equipment is available through Diver’s World. Many of our local dives are within a couple of hours drive (or right here in our own Lake Erie or Presque Isle Bay) and classmates frequently arrange for travel together.